The central objective of NEUROCOR is the development and commercialization of medical hardware and software products, including application-oriented research in the field of cardiovascular diagnostics and the diagnosis of autonomous-nervous regulatory processes. Of particular importance is the development of systems for the analysis of heart rate variability as the currently most important method of autonomous-nervous functional diagnostics. 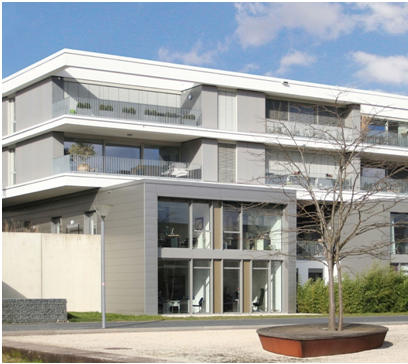 The technical development work of the NEUROCOR company is based on the long-standing research work of the ZENTRUM for NEUROPSYCHOLOGICAL RESEARCH and the resulting CENTER for NEURO SCIENTIFIC RESEARCH (ZNF-gGmbH) in the field of basic research as well as the relevant validation research. 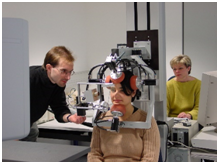 For example, the research work of the ZNF working group headed by Prof. Wittling was the first in the world to have demonstrated the different roles of the cerebral hemispheres of the human brain for the regulation of autonomic-nervous body processes such as blood pressure, myocardial activity, cortisol secretion and parasympathetic cardiac regulation. Due to the intensive networking of basic and applied research, the company NEUROCOR offers optimal conditions to orient its technical development work to the latest research standards. Dipl. -Ing. Dr. Ralf Arne Wittling is the technical director and managing director of ZNF GmbH, the link between basic research and product development. As an engineer and developer of highly valid HRV calculation algorithms and measuring systems, he has numerous publications and several international patents.